Nightfall Edition, a special blacked-out version of the award-winning truck that adds loads of style and and a heap of standard features to the Colorado’s already impressive list of standard features. 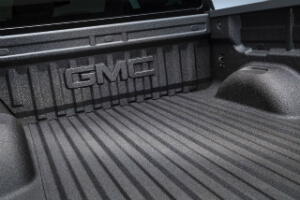 The Nightfall Edition is available on GMC Canyon SLE models ordered with Onyx Black paint. 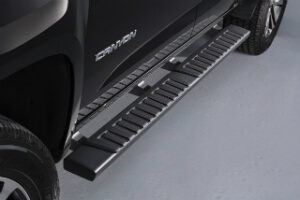 The package consists of a whole black-on-black trim scheme like unique black grill, black side steps, a factory applied spray-in bed liner, special black-accented 18-inch chrome wheels, automatic climate control and remote start. , a tilt/telescope steering wheel, automatic locking (G80) rear differential, and lastly, a leather wrapped steering wheel with audio controls. It’s the ultimate package for those who wish to add an extra shot of style and substance to their truck. Why not take one for a test-drive? Simply call our helpful sales team @ 1-888-878-2354 and we’ll be more than happy to find a time that works best for you. , which adds a similar blacked-out look to Chevrolet’s award-winning full-size truck.